A note to new readers: while we often delve deeply into financial topics (such as Behind the Scenes of a Happy Frugal Marriage and How We Save 65% Annually), we also like to keep it irreverent and downright silly. Because hey, who doesn’t need an investigative interview series conducted by a dog?! And so, I hope you’ll enjoy Frugal Hound Sniffs! 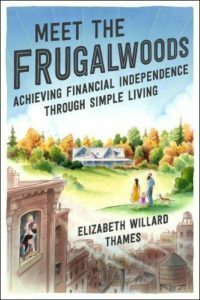 If you’d prefer a more, ahem, financial independence-related post, start with More Than You Ever Wanted to Know About the Frugalwoods Family. Frugal Hound here. We are joined today on my venerated and in-depth interview series, Frugal Hound Sniffs, by none other than Biscuit, the hound of Indebted Mom. Please join me in exuberantly sniffing Biscuit! I’m Biscuit. I think. My parents also call me Bubba, Bubba Dog, Bubba Gump, Biscuirty Whiskerty, Bisckers Wiskers, Biscuit-nutter Doofapotamus, Buddy, Boo Boo, and Charlie. I was a stray, so I’m probably a mutt of some sort, but I sure do look like an Entlebucher Sennenhund, so my parents like to pretend that they have some froufrou puppy that could have cost four grand. 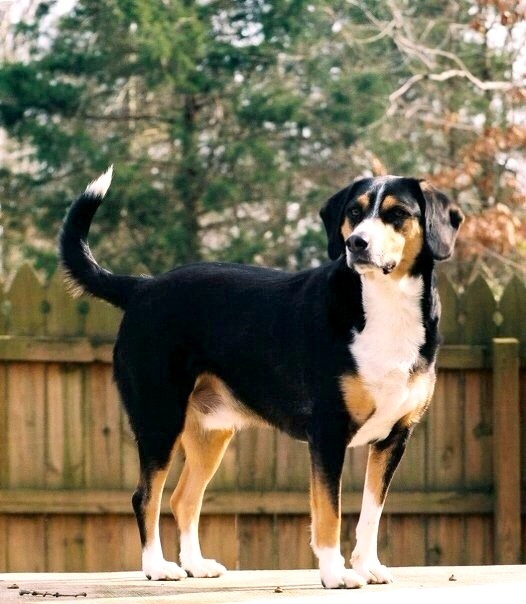 And plus they just like saying Entlebucher Sennenhund. My parents are Mr. and Mrs. Indebted, and Mrs. Indebted is Kirsten from indebtedmom.com. I looooooooooove all people, but there’s just something about my momma that makes me super duper happy. Like sprain-my-tail happy (seriously, it’s happened twice). Sorry, I had to go ask my momma what frugal means. I’m not sure if this question applies to me, as I’m the most expensive free dog ever. Every few years, I like to come down with something rare and deadly so my family spends a fortune nursing me back to health. One of my medical conditions is long-term and it prevents my parents from buying cheap dog food. In fact, for a good part of my first year, I was on prescription dog food. That stuff was expensive! My parents do skip treats, because after I was on steroids a few years back, I started stealing food. But I was just sooooo hungry! Still am! When my parents first took me in, they bathed me and trimmed my nails and did all that good stuff themselves. But I’m proud to say that it took three people to give me my first bath and I only weighed 15 pounds. Now, I hover in the high 60s and I just really give poor mom and dad a hard time because I am terrified of water (even rain) and don’t come near me with nail clippers. You mean besides poop? Mmmmmm. Poop. I like turkey and sweet potatoes and raisins, but mommy yells at me when eat raisins. 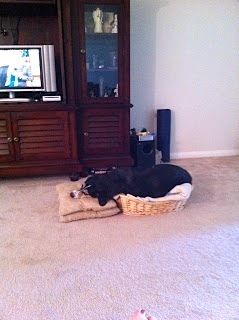 (Mrs. Indebted here: raisins can cause kidney failure in dogs, but oh my goodness, Biscuit loves them! We don’t keep them in the house anymore). You know, I used to really love toys, but I’m too old now. I just like to go outside and bark, usually at nothing. I’ve only ever destroyed one thing–a heating pad. Lesson learned. My momma has a bad neck and was using the heating pad in our living room. I had been cuddling in her lap, cause I was just a baby, but I got down to explore. The next thing mom and dad knew, I was zipping around the apartment, with my tongue hanging out, yipping and peeing. Poor mamma totally freaked out, but dad checked behind the futon and found that I’d chewed through the heating pad cord. Never. Again. I only chew on things momma gives me. I’m scared of storms. I get kinda frantic and I know to go hide in a windowless room, which is often momma’s closet. One day, mom and dad read about Thunderwear–apparently dogs who are afraid of storms get a little braver if you put them in some tight long johns. Mom and dad are pretty resourceful, so the next time it stormed, they pulled out my Halloween costume: Batman! I was so brave and so proud. I mean, I was a super dog! But mom and dad couldn’t stop laughing. I caught on pretty quickly that they were laughing at me, so now I just go hide in the closet, on top of mom’s shoes. Once a month, and it’s way too often. Let’s change the subject. My family is trying to get out from under their student loan debt because mommy would like to stay home all day with me. There are also two blonde-haired things that have appeared recently, and mom seems fond of them, too. But back to the question, I do not contribute. Again, I’m the world’s most expensive free dog ever! 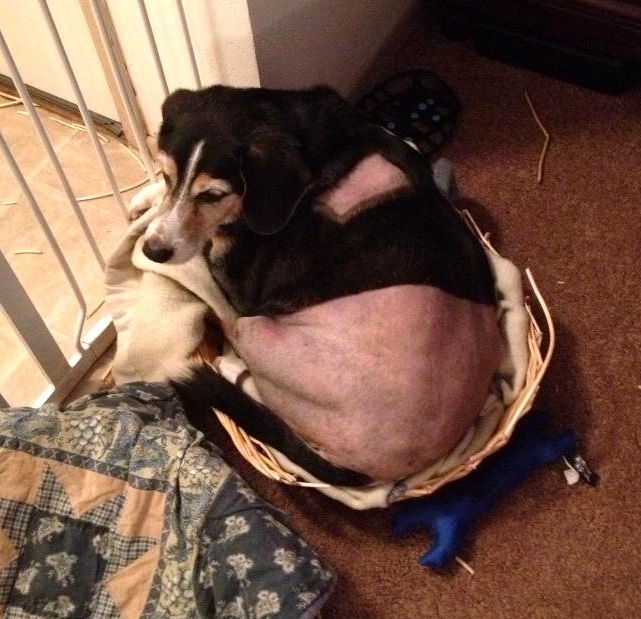 I’ve had parvo, mange, worms (twice), a severe infection, thrombocytopenia, and I’ve had leg surgery on both rear legs. I just recently got diagnosed with Lyme disease as well. Mom estimates she’s spent over $20,000 treating all these things and wonders why I don’t poop gold. I keep trying, but it’s just the normal yummy brown stuff. I used to try to bring mom dinner. I’ve killed rabbits and moles and birds back when I was younger and mom still ate meat. But every time I brought them inside, she was so ungrateful, I just stopped. Being awesome! Mom likes it when I lean on things. She just loves when I stand up, prop myself up against a wall, and start wagging my tail. I think she must like the thumping noise, I’m not sure? She giggles every time I do it. I make people laugh a lot. 10) How did you adopt your parents? Mom and dad were in Arkansas, visiting his parents for spring break, back before they got married (yes, I’m an illegitimate child). Let me insert here that mom had a beagle, Cricket, who was my sissy, so she has a thing for beagles. That totally worked in my favor. While mom was in college, her sister took care of Cricket because mom’s roommate didn’t think dogs should live in apartments. Anyway, dad had a Jack Russell with him during the trip that the two of them would walk together. They seemed like nice people, so I kept trying to approach them. And mom kept seeing me outside, sniffing the trash and such, so she figured I was a stray. 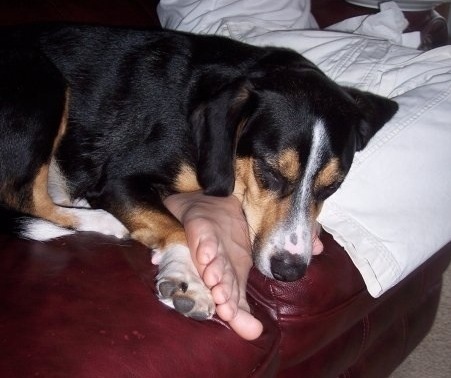 When I was a puppy, I looked a lot like a beagle, but mom did notice my big paws, so she knew I’d be a bigger dog. Oh, Biscuit! I’m so sorry to hear of your health maladies! The sprained tail sounds especially tragic. But, you are one lucky hound dog to have such a loving family to care for you. Mrs. Frugalwoods here: Many thanks to Kirsten from Indebted Mom for helping Biscuit out with his lovely interview. If you’re not already a fan of Indebted Mom, then let me be the first to tell you that you’re in for a treat! 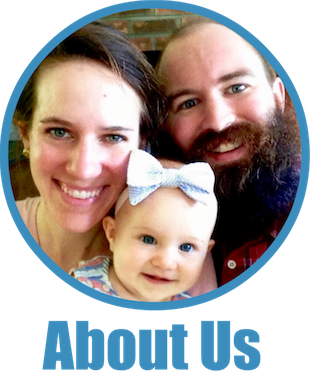 Kirsten shares her insights on debt repayment, parenting, her goal to be a stay-at-home momma, and living a life of meaning and purpose. 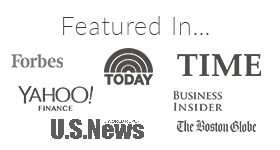 Great stuff–check it out! Biscuit you are awesome! Sorry to hear about your health issues buddy. Regardless if you are afraid of storm with all the health issues you been through you are a brave puppy in my book! So stinking cute. And isn’t it interesting that most animals really are so scared of storms? My cat bolts under the bed! Hahah! Pleasure was ours! Poor Frugal Hound doesn’t even have any “dog” costumes–it’s all just my clothes! Biscuit is so cute! My dog ate grapes once and I freaked out all night that he would die. Thankfully it was not a lot. I used to think it was crazy to spend huge amounts on vet bills but now I get it, they are the best and it is small change compared to the fun and love they bring. Nice to meet you Biscuit. Hope you are stay healthy! Whew you are one expensive, but very cute pup! I love how many names you have too. My cat Pepe has a lot of them as well so you are not alone. He is also on a prescription diet like you but luckily except for one incident early on he’s been pretty health…thankfully because vet visits are killer on the budget! Pretty sure cuteness is proportional to the number of names (at least in our household)! 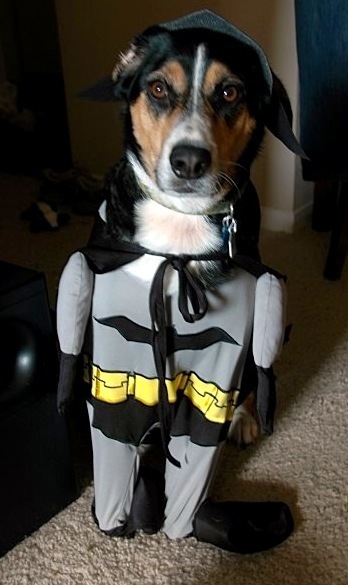 Biscuit, you are one good looking dude … especially in that Batman outfit! Eating poop though … Yuck! For.Reals. The poop eating is fairly new-ish. We don’t recall him doing it for his first 3 years. But we think he learned this habit from his dear ole sister. Beagles are kinda known for that. I read somewhere that dogs are afraid of storms because of the electrical charge in the air. They’re highly sensitive to the static. But hey, I wouldn’t be surprised if it was just the noise of thunder…it scares me too! This makes total sense, because he starts getting scared before we see or hear anything! Beautiful dog! Love the Batman costume as well. Me, too! I wish I had pics handy of the time he went as a hot dog!! So funny! Ahhh…Biscuit is SO cute!! I have a number of friends with dogs who are afraid of storms. I feel for them. Fortunately our cat doesn’t seem to be afraid of any wacky weather. You are SO lucky! When a storm comes at night, his fearful pacing and clumsy climbing on my shoes keeps everyone up! If people truly wanted to be frugal, no one would have pets or kids, but what a boring life that must be! A few years back we had two dogs who both blew out a knee within a years time. One of our most expensive years but I would never say no to a treatment that provided a good chance at recovery and quality of life. Oh wow! Two of them in a year!! I think we got a discount on having to do both of Biscuit’s since they were done at one time. But it was still super expensive! I love this! Shannon (The Heavy Purse) told me about your series and they are hilarious! 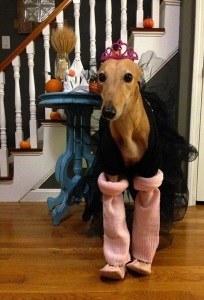 Frugal Hound looks so sassy in her pink legwarmers and ballet shoes. My cat Max would never allow me to do that to him. He hated his Halloween costume. Like Biscuit, my previous cat, Emeril suffered through big health issues which was costly but he was worth it. So I completely understand why you would invest so much in Biscuit. We love our fur babies, which is why I learned they need their own emergency fund too! You are so smart to do an emergency fund for your pets! Although I’ll admit that my mother-in-law has funded Biscuit’s treatment over the last couple of years – we are very lucky she loves her granddog! Hello Biscuit! I wanna bring you home! You’re so cute! It’s sweet that you take such good care of your doggie, Kristen! What a cutie! I thought the same thing–he’s one lucky hound! I am DYING laughing over here! Nice job with the batman/thunder shirt costume, too. That is beyond hilarious. And the look on his face while wearing it!! Priceless. The costume is hilarious and he is so cute. Thank you for calling out the risk of raisins – our last dog developed severe acute renal failure and we are pretty sure it was due to eating raisins. I had no idea that raisins were bad for dogs and she stole a giant bag of them. Nice to get to know you and your family Biscuit! I was glad to learn about the raisins issue too–I didn’t realize it either. I’m sorry to hear about your dog, May!